From Wikipedia: The Gore Range (elevation approximately 12,000 ft) is a mountain range in the Rocky Mountains of northwest Colorado in the United States. 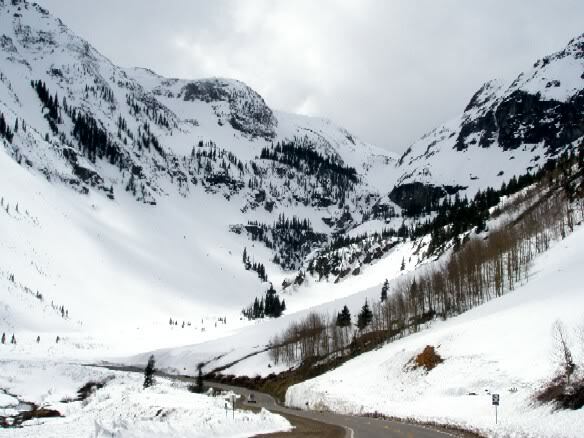 The range runs for approximately 60 miles (100 km) northwest-to-southeast, through western Grand and Summit counties, and southern Routt counties. They form the southern extension of the Park Range, extending southward from Rabbit Ears Pass (U.S. Highway 40) to the Eagle River near Vail. The Colorado River passes through the range at Gore Canyon. The range forms part of the western boundary of Middle Park at the headwaters of the Colorado, separating it from the upper basin of the Yampa River to the west. The northern section of the range north of Gore Pass is somewhat lower than the southern section, along the western side of the valley of the Blue River. The ridges of the range are prominently visible on clear days from the summit of Trail Ridge Road in Rocky Mountain National Park approximately 50 miles (80 km) to the east. 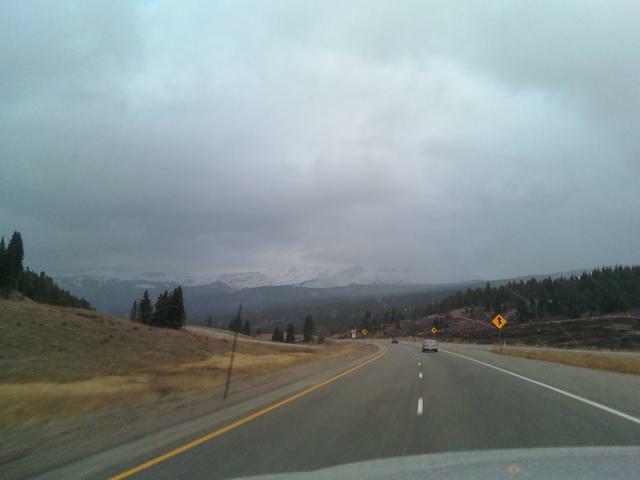 The range is traversed at its southern and southwestern lower flanks by Interstate 70 from Silverthorne to Vail. 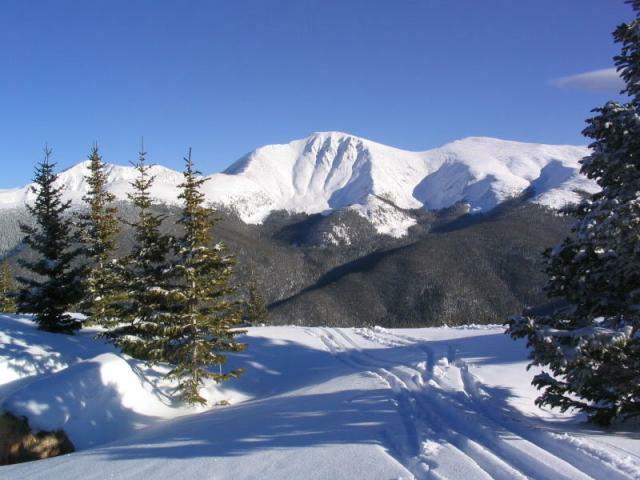 Much of the range is located within the Arapaho and White River National Forests. The range was named for Sir George Gore, an Irish baronet who visited the area in the 1850s on a notorious hunting expedition throughout the American West. Go West! From Denver, Take I-70 West until you see signs for Vail. 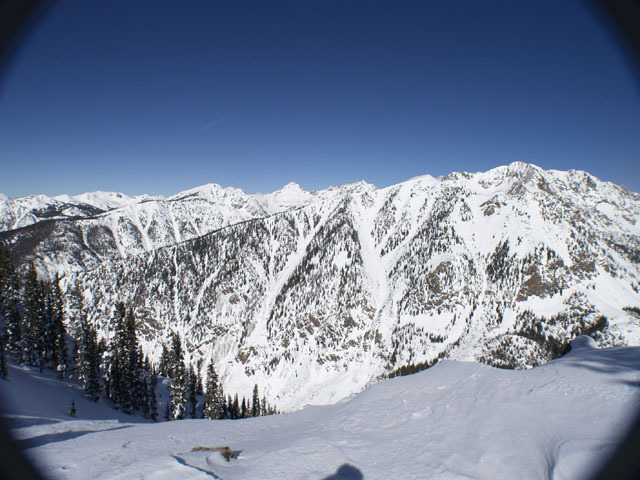 From the west, Go east until you see signs for Vail!